Burnt wood, mulberry paper. 2005. 58″ x 2 1/2″ x 58″. 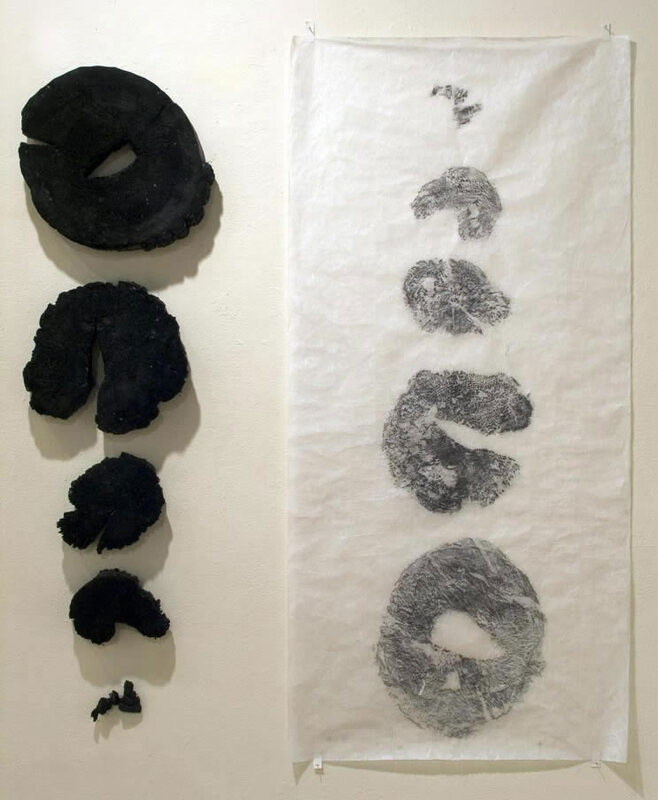 Charred pieces from the Purification burnings at Western Carolina University, Easter, 2003, and at Franconia Sculpture Park, August 9, 2003, the anniversary of the dropping of the atomic bomb on Nagasaki, and the drawings, New Years 2005.